INSTALLATION: At Fashion Floor Covering, we take quality workmanship very seriously and we care about your satisfaction. 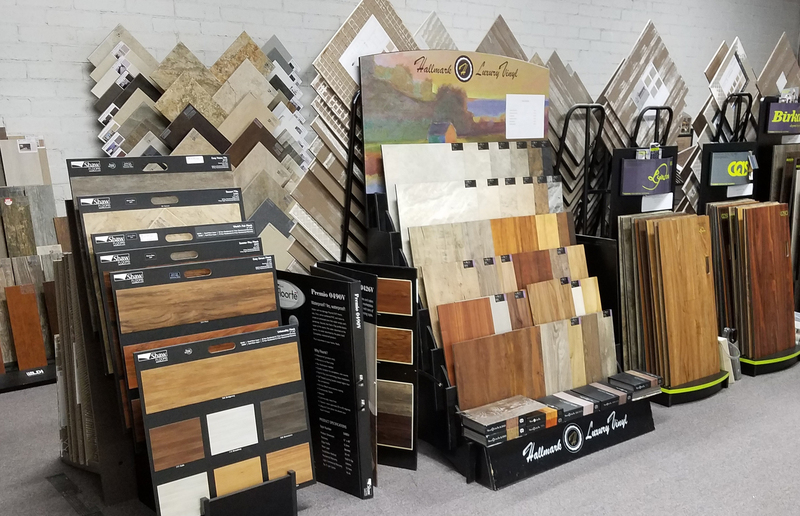 Whether we're installing laminate, ceramic tile, hardwood, or carpet, we at Fashion Floor Covering ensure that the entire process is smooth from start to finish. From free measurements and estimates, to the finished product, our professional installers will make sure that you are completely satisfied. With over 50 years of installation experience, we can handle any custom installation and design. Being family owned and operated, our installers only work for our company and are personally trained and supervised by our family to ensure the job is done right, the first time. We also provide all materials and supplies, such as metals, adhesives, seam tape, etc. for our installers to ensure the highest quality materials are used in the installation of your flooring. We prepare concrete floors prior to installation by filling in cracks to help prevent ants and moisture, and vacuuming prior to installation. CARPET: Whether you’re looking to carpet a high-traffic hallway or the intimate space of a bedroom, selecting the right carpet can make a huge difference in adding beauty and comfort to your home. With hundreds of colors, styles, patterns and textures, Fashion Floor Covering makes finding your new carpet flooring easy. Our staff will help you find the right carpet to fit your lifestyle and home needs at a price that is perfectly suited for your budget. We will make sure your carpeting is installed correctly with proper stretching and seaming. We pre-cut all carpeting in a clean warehouse, rather than in the street in front of your house. Carpet is not only an easy way to bring beauty and comfort into your home, it's also one of the most affordable. LAMINATES: No other flooring solution offers a greater combination of style, performance, easy maintenance than laminate flooring. Today, laminate flooring is designed using the most advanced technology to create a product that is both realistic and extremely versatile. 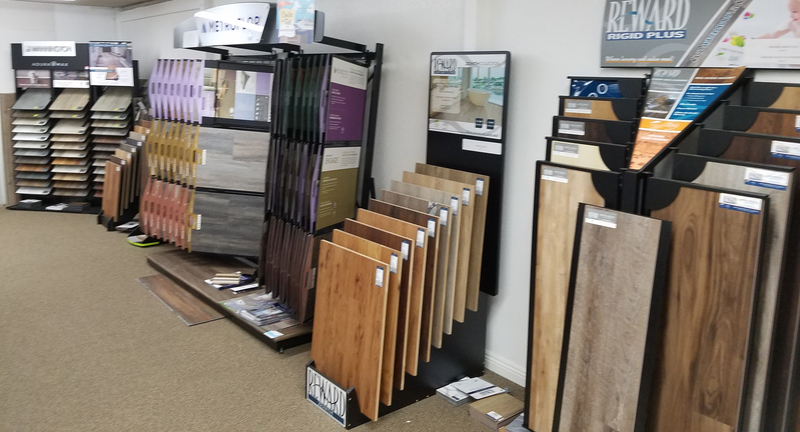 Whether you want to create the look of beautiful tile or elegant hardwood, laminate is a perfect flooring solution to enhance the beauty and durability of your home. Perfect for active lifestyles, laminate flooring is extremely durable and provides excellent performance against stains and every day wear and tear. We carefully select the best laminate flooring products to provide to our customers. We do not sell high density fiber board core laminates, since they do not perform as well as similarly priced alternatives, such as a Wood Plasticized Core (WPC). With the new arrival of WPC with its waterproof core technology, laminate flooring has become the flooring of choice for many households, including ours! Not sure what style of laminate is right for you? Fashion Floor Covering can help you find the right laminate floor that fits your needs and budget. CERAMIC TILE: A popular choice for kitchens, bathrooms, or any other intimate space, tile flooring can be customized to meet any need. It lasts an incredible amount of time under normal traffic, and maintains its beautiful appearance even after years of stress. Whether you're looking for Ceramic, Porcelain, or Natural Stone, we have huge selection of tiles for you to choose from. Available in countless combinations of colors, patterns and textures, our tile experts at Fashion Flooring can help you find the perfect tile to meet all of your needs. Whether you want to capture the look of natural travertine or want to add elegance with a marble floor, we offer hundreds of different styles, sizes, textures and patterns to choose from. Strong, stable and elegant, tile flooring is a great option for adding beauty and class to your home. HARDWOOD: If you’re in search of a look that will complement the atmosphere of any room, turn to the classic style of hardwood flooring. Timeless and gorgeous, hardwood flooring captures the beauty that nature offers and instantly enhances the value and character of your home. For centuries, homeowners have counted on hardwood floors as a beautiful and long-lasting accessory to any room. When you install high-quality hardwoods in your home, you can count on a warm and welcoming look. With hundreds of different finishes, compositions, grains, textures and styles to choose from, our hardwood experts at Fashion Floor Covering can help you find the right hardwood to meet your lifestyle and budget needs. AREA RUGS: Looking to add a pop of character or extra comfort to a room in your house? Available in a variety of sizes, shapes, colors, and patterns, area rugs are a great solution for adding a color and warmth into a room quickly and easily. Whether you need a large rug for your living room or a smaller rug for your bedroom, we can help you find just the right rug to match your home's style that's easy on the wallet. We can use a stock piece of carpet or order any size carpet for an area rug. We custom cut and bind carpet in our warehouse, with one of the only binding machines in the Antelope Valley.